New Delhi/Dehradun:The fourth International Yoga Day is being celebrated across the globe on Thursday.Prime Minister Narendra Modi led a large number of people in performing yoga asanas at the Forest Research Institute in Dehradun in Uttarakhand. Speaking on the occasion, the Prime Minister said Yoga has emerged as the biggest unifying force in the world. 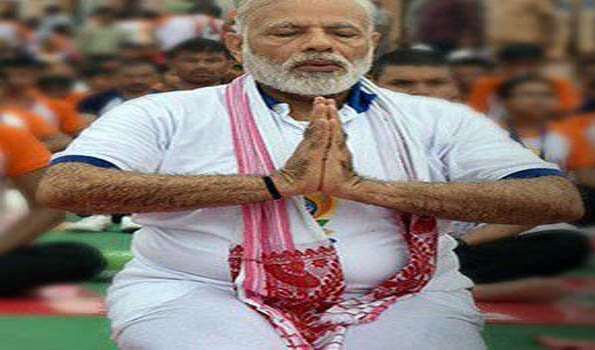 Mr Modi said yoga has shown the world the path from illness to wellness. He further said Yoga unites, it helps to assimilate and also heals.